Drew focuses primarily on enterprise and consumer software investments. He is a founding Board Director or Affinity Technologies, a stealth enterprise software company. Previously Drew served as chief of staff to Joe Lonsdale (Formation 8 Founding Partner). 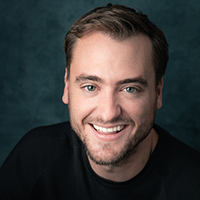 Drew serves as an Adviser to LivingOnOne, a non-profit impact production studio and WeAreThorn, a NGO which leverages technology to eliminate child trafficking. Drew graduated with degrees in Mathematics and Economics from Claremont McKenna College. He was a Robert Day Scholar, two-time Bill Gates Investment Asset Management Fellow, CEO of the Student Investment Fund and served on the Board of Trustees. In college he played varsity golf and sang in a professional a capella group. Drew is originally from Iowa City, Iowa and enjoys tennis, golf, basketball, snowboarding, philosophy.